Travel trend 2019: DIY boating vacations! Chartering a private yacht in the south of France or Venice may seem something that is reserved for the rich and famous, but Le Boat offers a wide range of boats that fit all budgets and travel style. A one-week boat rental starts at just US$582! The cost is per boat and not per person, so you can choose a boat that suits your party size, sleeping anywhere from two to 12 people. The “Do it Yourself” trend ties back to you being the captain of your own boat, where – you guessed it – you drive the boat! No experience or license if required. All of Le Boat cruisers have been custom designed for canal cruising, and with the NOVICE BOATER in mind. The simple boating controls onboard makes it as easy to drive as a car and many models have bow and stern thrusters, to make docking the boat as easy as pushing a button. This hot new trend is perfect for those travellers looking to get away from the crowds and set their own pace and agenda. 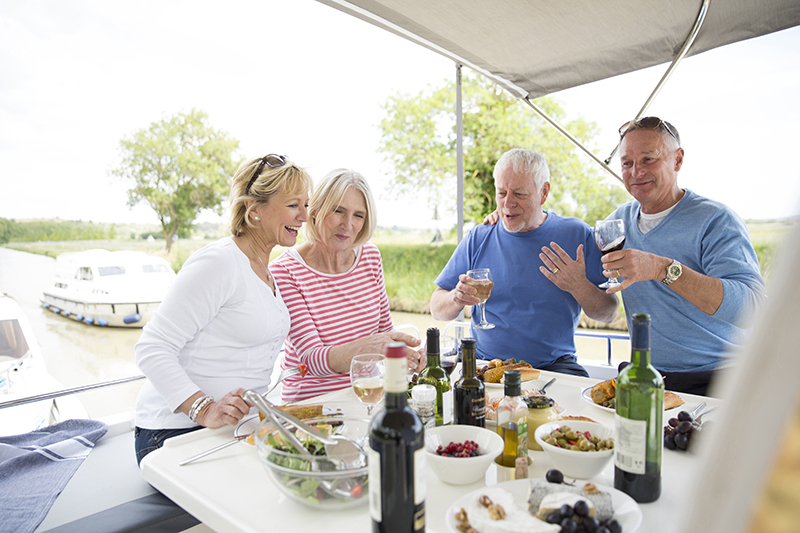 When you book a self-cruising vacation with Le Boat, you can be on the leading edge of travel trends for 2019. As the largest operator of self-driving boating vacations, Le Boat has 50 years of experience in planning the perfect getaways to the hottest travel destinations, creating fantastic vacations for more than 100,000 guests each year. Le Boat offers DIY cruises throughout France, Ireland, Scotland, England, Germany, Belgium, the Netherlands, and Canada. For 2019, Le Boat’s inside sales team have put together this list of emerging travel trend on some of the worlds best waterways, for a list of the hottest places to visit. Read on to plan your perfect DIY cruise vacation, where you’ll be ahead of the crowd, and with stories to tell. History lovers will be in architectural heaven in Belgium! Travel along the winding canals that snake their way through the countryside while visiting small hamlets and villages for a different perspective of this European treasure. Cruise with Le Boat along the Plassendale-Nieuwpoort Canal or the Ijzer and Izjer-leper Canals for a relaxed getaway that will lead you deep into the countryside and the rich Belgian culture. Take some time in Ieper (Ypres), a roughly two-and-a-half-hour cruise from Nieuwpoort, and explore the region considered to be the heart of Flanders Fields (you can book a tour to take you out to Flanders Fields as well). See historic castles, famous architecture, and a tapestry of Belgian attractions during your travels. Stop for a bite and enjoy local cuisine at the restaurants along the way – don’t miss visiting Ghent for a visit to De Dulle Griet, and ask for a ‘Max’ beer poured in a boot-shaped glass! Learn more about boating in Belgium. Say guten Tag in Alsace! Although technically situated on the north-east edge of France, this long fought-over region has passed between France and Germany many times over the years, and this is evident in the culture and languages spoken here. Cruise across borders from France to Germany, or visit the Alsatian capital of Strasbourg, and enjoy cruising narrow canals flanked by towering timber-framed historic homes. Don’t miss seeing the Arzviller boat lift, known as the “Inclined Plane of St. Louis.” Spanning a 44.5-metre ascent, this lift came into service in 1969 to replace a chain of 17 locks, reducing travel time from an entire day to just four minutes! Learn more about cruising in Alsace. Discover an often-overlooked travel destination before it becomes overrun with tourists, and visit the Netherlands, encompassing North-Holland and South-Holland, along with Friesland. This scenic region’s topography is just perfect for river cruising, and when cruising with Le Boat, you’ll be able to explore the region in style from the luxury and comfort of your own boat. Visit Oudewater in South Holland, where witches were tried in the 16th century, or cruise to Giethoorn in Friesland, nicknamed the “Venice of the North” thanks to its picturesque canals and bridges. As you cruise, sample local Dutch cuisine, and hear the stories of the people and their customs! Learn more about boating in the Netherlands. Perfect your Irish lilt when cruising the Shannon and Erne Rivers, passing charming villages and bustling towns, where you can steep yourself in the romance of the Irish culture and history. There are few geographical treasures that so clearly highlight a region’s culture than the Shannon, the longest river in Ireland, that flows through 11 colourful counties. The sights and sounds of Ireland are best experienced from the water, and when cruising with Le Boat you’ll get the true insider’s experience. Plan a stop at Portumna for a real taste of Irish history, a tour of the Irish Workhouse Centre, and Portumna Castle. Learn more about boating in Ireland. With its picturesque castle ruins, deep lochs, and remote, heather-covered hills, Scotland has a romance about it that is hard to resist. For travelers, there is no better way to fully immerse yourself in the Scots culture than when cruising on the Caledonian Canal, from Inverness to Fort William. A marvel of historic architecture, the Caledonian Canal features a combination of man-made canals and Scottish lochs, including Loch Ness, home of ‘Nessie,’ the infamous Loch Ness Monster. Delight in the scenery and traditional Scottish fare, with a focus on fish and seafood. Learn more about boating in Scotland. This is Le Boat’s most popular cruising destination, the Canal du Midi is a must-see! The canals here wind their way through remote and picturesque countryside, passing charming villages full of medieval history. Don’t miss a visit to the UNESCO World Heritage Site, Carcassonne, the medieval fortified, walled city that features the famous Citadel of Carcassonne, the second most visited tourist attraction in France. This carefully restored walled city is renowned for its double-wall ramparts, and fairy-tale towers, and a stroll through the city will leave visitors stunned with the attention to detail to bring the medieval world to life. The Citadel is located only a short walk from the canal, roughly 30 minutes, or shuttle services is also available, for a fee. Learn more about cruising the Canal du Midi. Book a cruise with Le Boat to one of these six destinations and experience a vacation to remember! Choose from Le Boat’s fleet of 900 cruisers and more than 30 models that can accommodate up to 12 people. When cruising with Le Boat, you’ll enjoy traveling in bright, airy accommodations that offer the best for luxury vacation styles, where you are in charge of your itinerary at every step of the way. No mater your style, party size, or budget, there is a boat and vacation waiting for you with Le Boat!